One New Aftermarket Replacement Camshaft that fits Case / International Harvester Tractor model: BD154 ENG. New Style Cam With 1.312 Inch Keyed End for Cam Gear. Only the 48 contiguous States in the U. 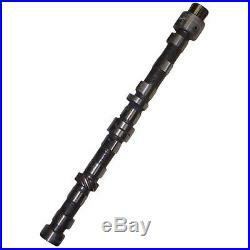 The item “3063934R3 New Case International Harvester Tractor Camshaft BD154 709450R1″ is in sale since Friday, February 28, 2014. This item is in the category “Business & Industrial\Heavy Equipment Parts & Accs\Tractor Parts”. The seller is “stevenslake” and is located in Williamston, Michigan. This item can be shipped worldwide.